Future of Private Cloud is within four factors those suggest that the private cloud is destined to have a great future, despite the debates. Those who have not read the main basic article on Private Cloud, can read the old article first. Private cloud is a subject of contention and debate. 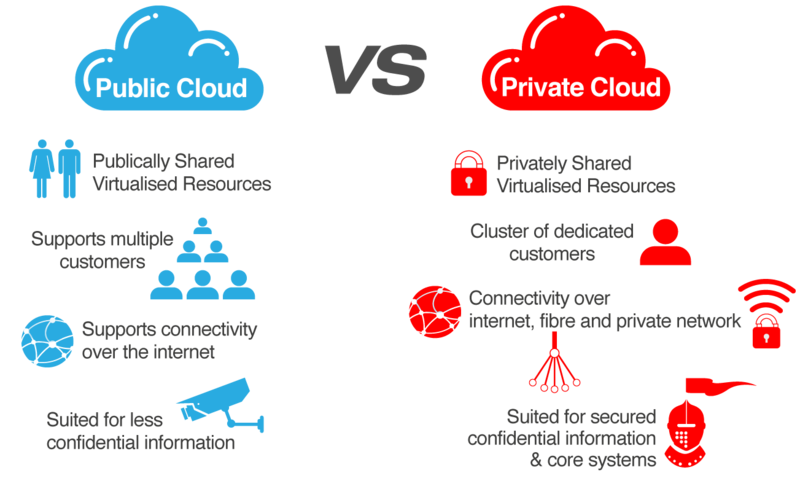 On the other hand, some argue that the private cloud is dead because public cloud is much more efficient than the private cloud, but there are also some, those who argue that the private cloud is the best solution for companies and based on this, can have a brilliant future. In the support of the latter argument would turn us towards the statistical research conducted by IDC, that companies will spend in the private cloud over US $ 24 billion by 2016. According to analysts, in fact, the private cloud can not be seen at the end of life, simply because it still attracts the attention of the companies. IT departments are looking to the private cloud for at least four reasons. logically public cloud is hosted offsite by its very nature and the private cloud is designed to run on datacenter instead of the local servers. In recent years, enterprise adoption of private cloud has showed that the difference between the two types of clouds must be weighed in the distribution of resources and not on their location. Thinking about how the resources are distributed, one will automatically understand that the private cloud is not always the alternative to only on-premise, but it can also be off-site, virtual servers or with 1:1 model, where all computing power is dedicated to a single company. In short, the private cloud retains flexibility which is very beneficial for enterprise deployments. The security of the cloud is perceived differently depending on the type of cloud. Public clouds are perceived as the least secure because the data of the company are outside the control of IT departments, whereas in the private enterprise have direct control over where information is stored, access to data and allowing access to it. Reasoning on these aspects, we can come to another important point that distinguishes the public cloud and the private cloud – the sovereignty of the data. Often this sovereignty boundaries are not well defined in the public cloud and that is why companies are always be aware of where their data is stored. Public cloud works well for most applications, but companies continue to choose private cloud. The reason for the interest in the private cloud is the need of enterprises (especially those belonging to SME segment) to run applications developed in-house or in legacy mode, these applications can not be abandoned because they are essential for certain business functions or because they deal with highly sensitive data. Most importantly, the major Private Cloud Computing softwares are also Open Source. Cite this article as: Abhishek Ghosh, "Future of Private Cloud in Enterprises," in The Customize Windows, November 4, 2014, April 26, 2019, https://thecustomizewindows.com/2014/11/future-private-cloud-enterprises/.